Lucille spent the first part of her life in fresh water and then moved to the Chesapeake Bay. She has been loved by the same fastidious family for years and presents one of the cleanest, well cared for offerings. Listed to allow her owners to move to a larger IP, she is priced to sell. Don't wait on this one! Pictures and details coming soon! MISNEACH is hull #179 of the 180 Island Packet 35's built between 1989 and 1994. A proven cruising yacht with an extensive history of blue water voyages, the 35 is comfortably laid out below for living aboard as well. It has proven to be one of the company's most popular models. MISNEACH was a fresh water boat for the first ten years of her life, hauled and stored indoors every winter. 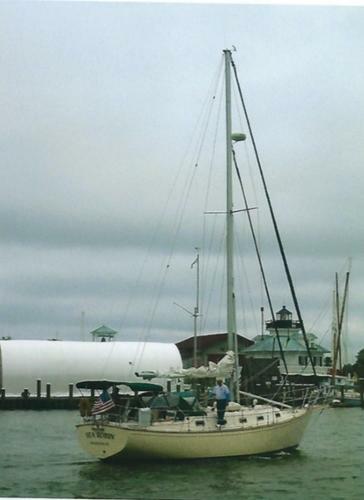 Since moving to the Chesapeake Bay, its current owners have hauled her yearly from December through April. In 2017 the blister-free hull was taken down to gelcoat and received two coats of barrier coating and new anti-fouling paint. It also received two coats of anti-fouling paint in the spring of 2018. This Beauty is now at $99,500!!!! Skye has always had the best of owners who have loved her and maintained her well. The care is evident when you see her and her upgrades put her at the top of the class. #1 BOW THRUSTER ! #2 Edison Pedestal Steering Conversion - No More Strut! #3 Swim Platform! 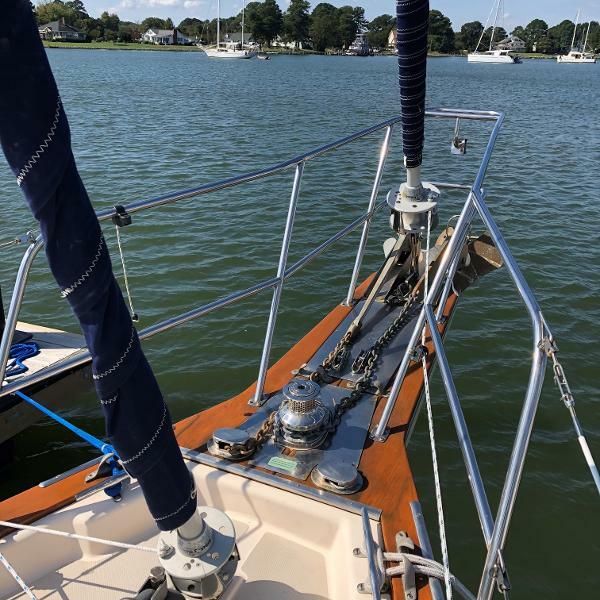 #4 Mainsail Roller Furling by Facnor! #5 Kato Davits and Solar Panels #6 Ultraleather in the Main Salon #7 Cockpit Enclosure #8 Reverse Cycle Heat and Air #9 NEW Raymarine Quantum Chirp Radar, Multifunction Display and Masthead wind unit #10 Rub Rail Lots more so read the listing. One of the newest 35's you'll find, Skye is the limit! 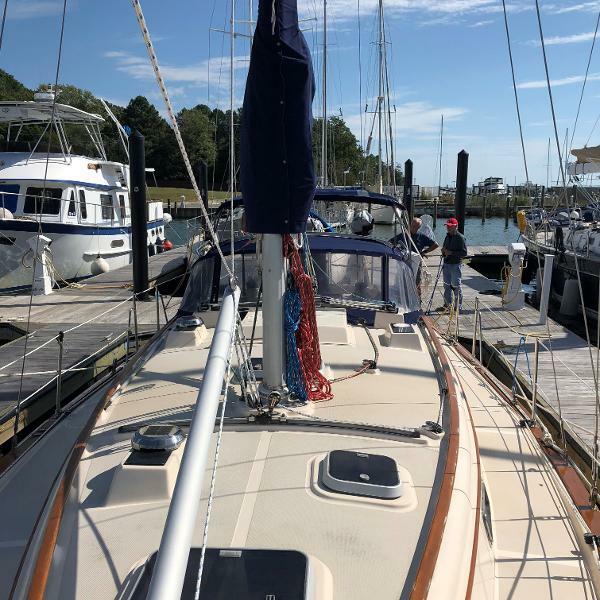 CLASSIC CRUISER - GREAT LOOKING - GREAT EQUIPMENT - BEST VALUE - WELL MAINTAINED & READY TO GO SAILING WHEREVER YOU WANT TO GO!!!!!! More Information and Pictures Coming. Call for Complete Details Eau de Vie is one of the best Island Packet 35s I have recently seen. 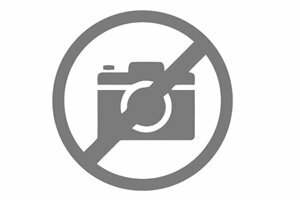 She has been owned by a very experienced and knowledgeable cruising sailor and constantly upgraded and maintained to his exacting standards. 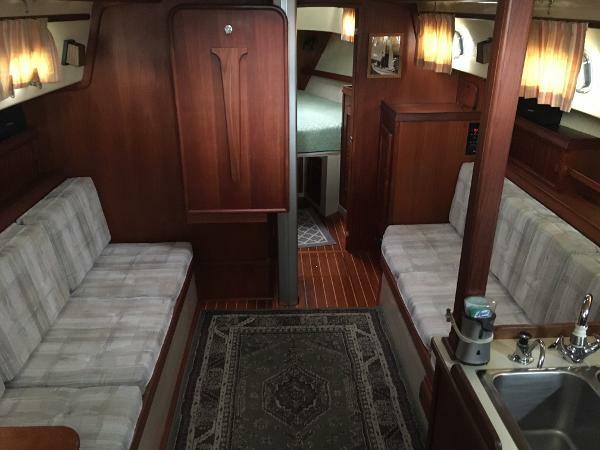 Lyman Morris of Camden Maine was contracted in July, 2017 to inspect the Chain Plates behind the Saloon paneling and furniture with a Bore Scope and found no defects Eau de Vie has two spacious private cabins, a large head with separate shower area, a huge galley with lots of working space and storage. PLUS Air Conditioning and Refrigeration. She is very comfortable. 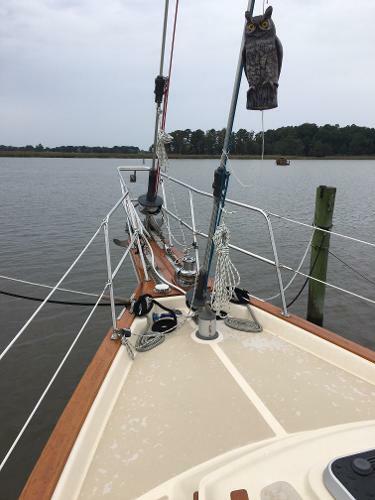 She is easy to handle and sail with her Doyle Stack Pack, Furling Head and Staysail, Self-Tailing Winches, Rigid Vang, Anchor Windlass, Plus lots of electronic and sail handling upgrades. 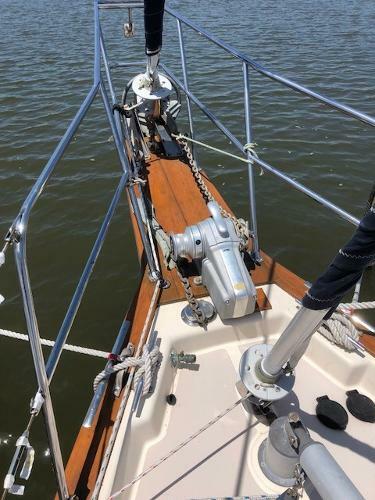 Solar Panels and High Output Alternator allow you to be pretty independent while newer sails, electronics and good maintenance keep you out of the boat yards and on the water. No matter what your sailing goals may be, you need to see Eau de Vie. Sea Robin This Island Packet 35 has been well cared for and maintained. 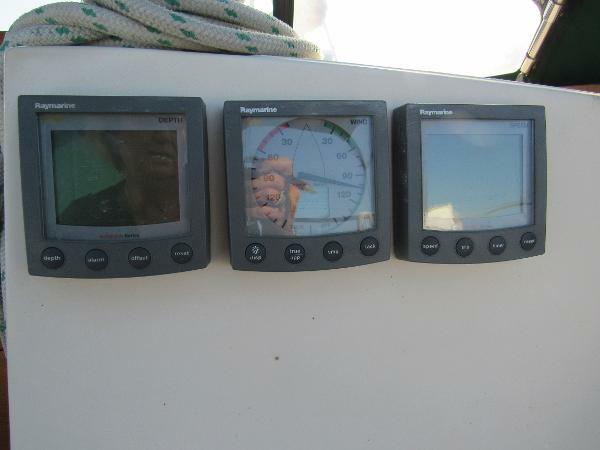 She is equipped for offshore and pleasure cruising. 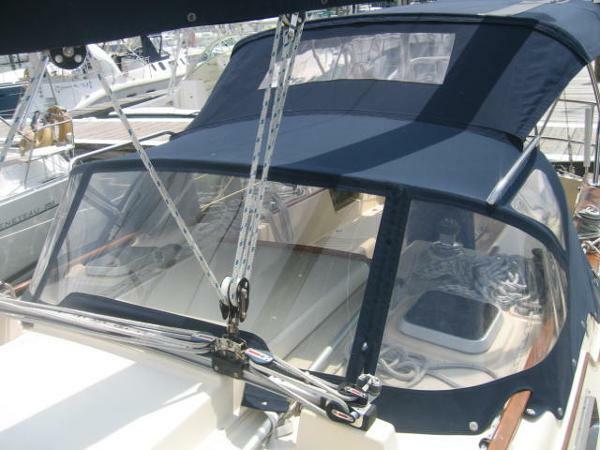 Her owner has thoughtfully taken care of her interior and exterior features and equipment. She has less than 800 engine hours. A very clean vessel with nice fabrics, cushions, canvas and covers. Her interior and exterior woodwork and teak is in nice condition. 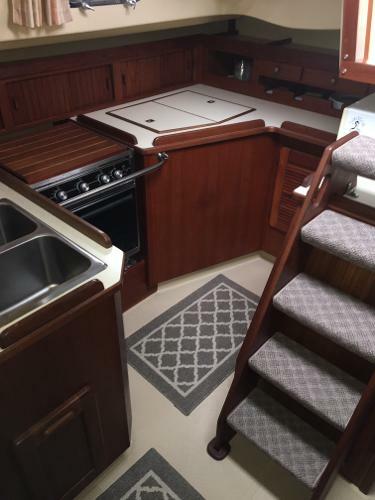 Sea Robin's interior plan is conducive to extended cruising, living and entertaining with a large galley, spacious head and roomy cabins. She can be easily sailed and single handed. 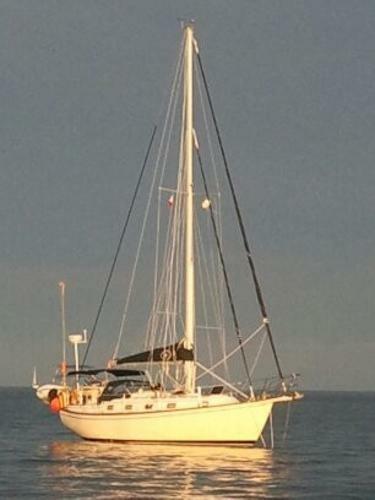 Her cutter rig offers a variety of sail use and management with all her lines led aft to the cockpit. 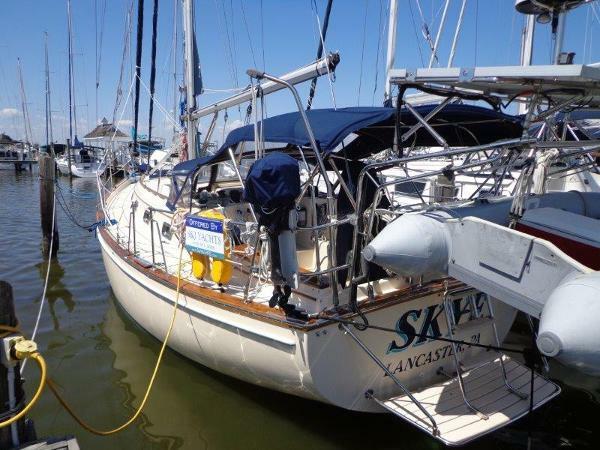 She is seaworthy, comfortable, accommodating and offers plenty of storage throughout. An Impressive and worthy cruise vessel with a fine pedigree, good care and a multitude of capabilities. Sea Lion is a great cruiser that can take you to your favorite gunk hole or around the world. 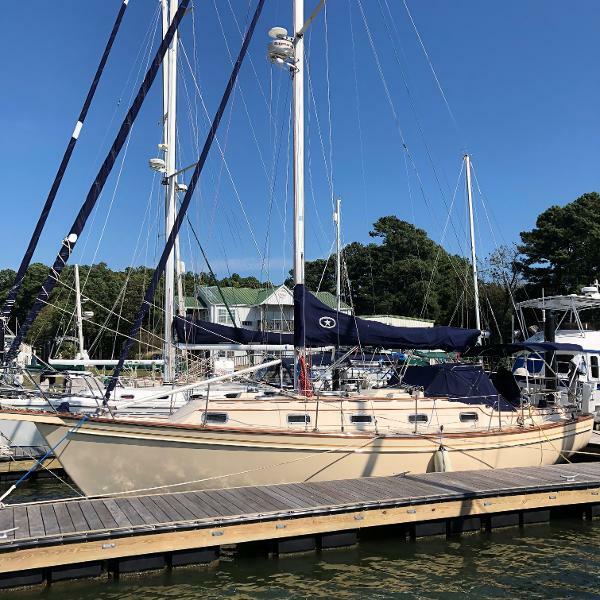 The Island Packet 35 is a Classic with full foil keel, spade rudder, high aspect cutter rig, great elbow room and storage. She is luxurious, roomy and sea kindly. 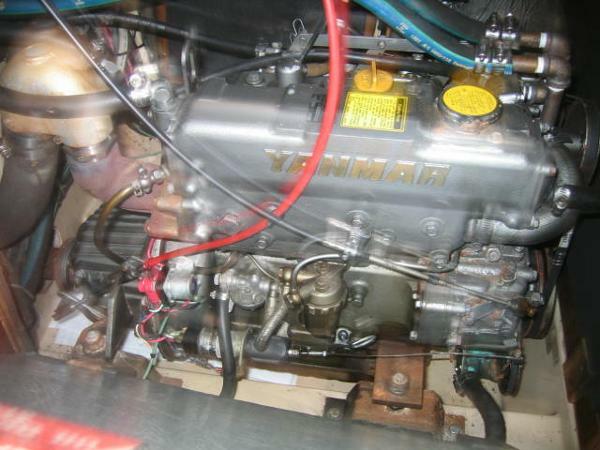 With her high aspect rig and 35HP Yanmar diesel, the 35s have surprising performance under sail and power. 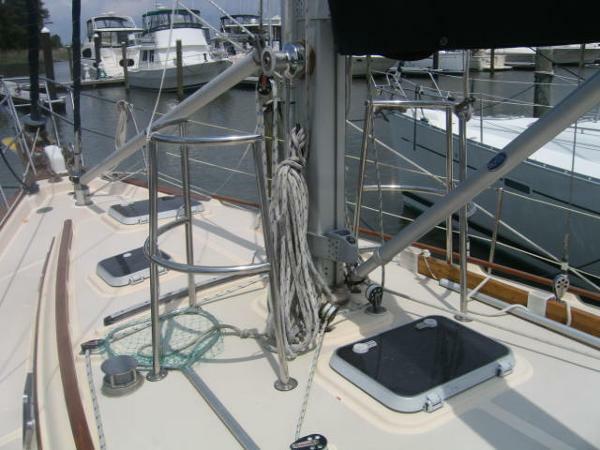 FURLING MAINSAIL - BOW THRUSTER - AIR CONDITIONING - PROPANE HEATER - RADAR - PLUS........................ 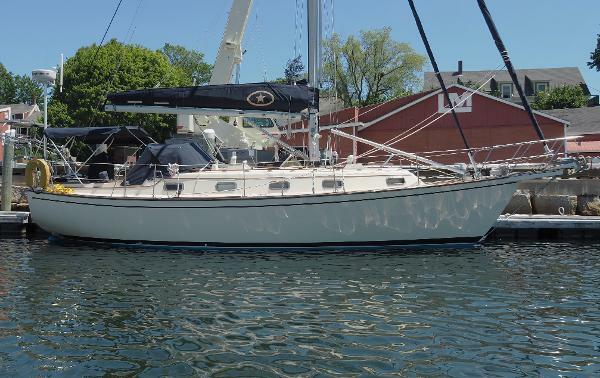 The Island Packet 35 was the first mid-thirties design and was introduced in 1989 as a second generation packet with the continuing but improved IP design philosophy of full keel with spade rudder, mast head cutter rig and shoal draft. The 35 had private aft and fore cabins and an improved hull, keel and rudder shape. 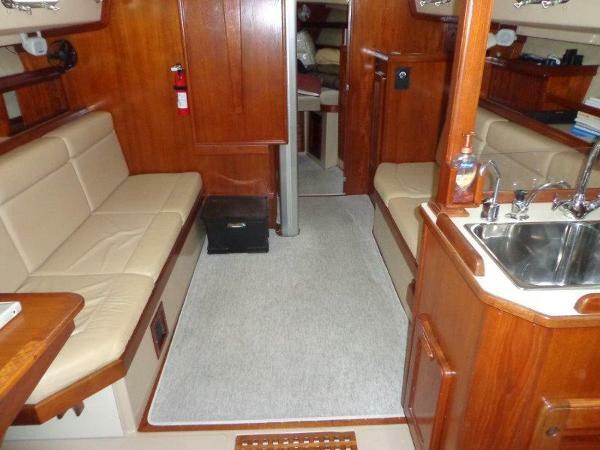 She is very comfortable in all kinds of conditions with lots of storage and elbow room. 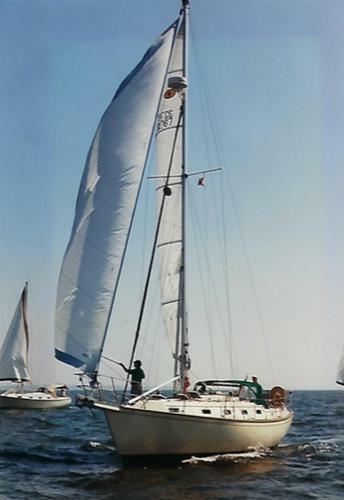 Her cruising performance won her numerous competitive offshore cruising competitions. 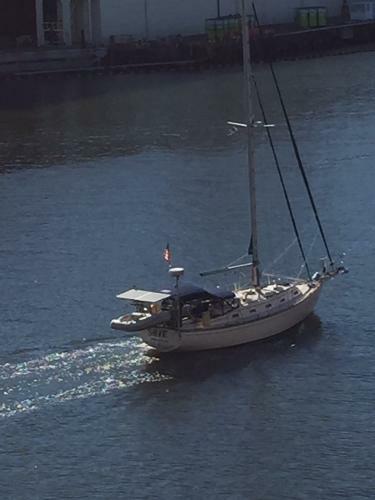 ASPRI MERA has a boom furling main, bow thruster and many other upgrades that make her a very modern IP 35. She has been well cared for and maintained. With her many improvements, she is a MUST SEE!!! !